I have finally finished Santorini from Rowan magazine 53. I cheated slightly and didn’t knit the flower on the front as I intend to make fabric corsages from Rowan fabric and wear these with it. 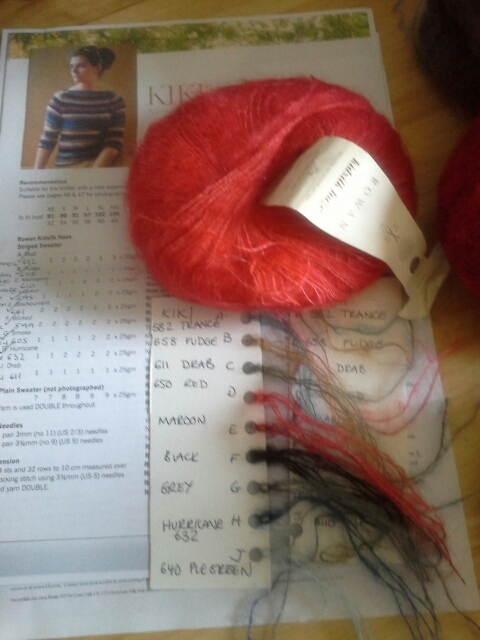 Time to choose a new project and I am so torn , there are so many patterns I want to knit and 4 I have organised the yarn for. 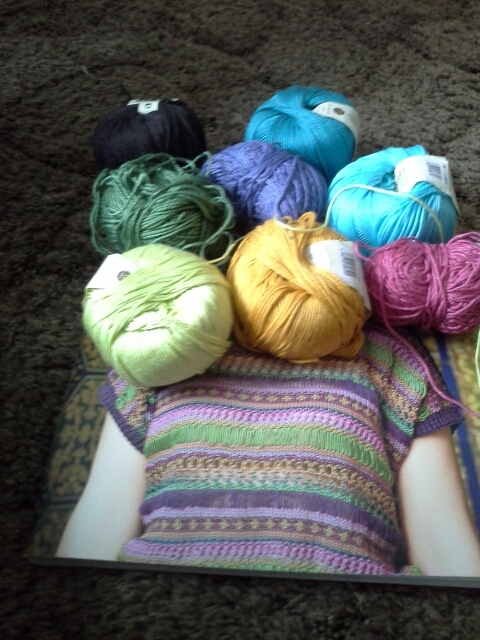 The problem is I keep changing my mind on which one to knit first. The first of the four options is Eldorado from rowan magazine 55. You can follow my progress here. http://www.ravelry.com/projects/flickchickknits/eldora/photos like Santorini this is the cover knit. I will still be using Rowan Cotton Glace but these colours. The third of the four comes from this months Knit Today in which there are a few patterns I want to knit. I was very nearly tempted to subscribe as they have a great subscription offer but thought to myself I can’t cope with the amount of patterns I have so NO. 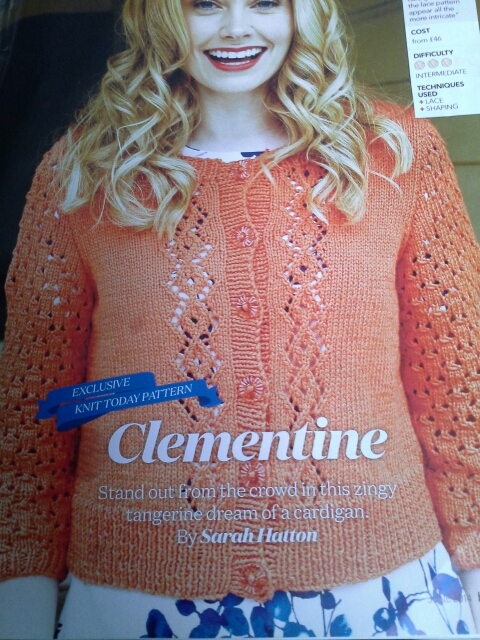 As soon as I saw Clementine by Sarah Hatton I knew I had to knit it, in red. This one hasn’t made it to my project page yet. The fourth is from Marie Wallins Windswept, which needs its own post, so more on that next time.